Let's get the ball rolling (har-har) on a new top five list for SuperPhillip Central. The ball-rolling game generally consists of guiding some form a ball to a goal. There have been many iterations of this type of game, so it's been a bit of a trial to formulate a list of the five best. However, a list has been made! Archer Maclean is a British programmer with an illustrious history of games under his belt, such as the Atari's International Karate, as well as various pool and snooker games. His Mercury series takes the ball-rolling game into a form, literally, as the gelatinous mercury ball that players in the game controlled could split in half, transform into new shapes, alter its color, and morph. 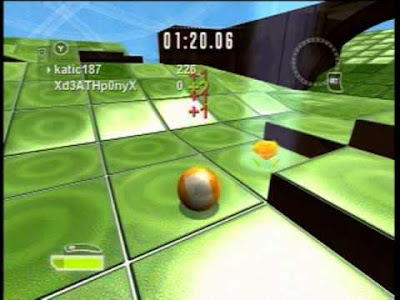 The Mercury series has appeared on the PlayStation Portable, where it debuted, the PlayStation 2, and Nintendo's Wii, where the Wii Remote's motion control functionality was put to great use, having players tilt it to move the blob of mercury around. 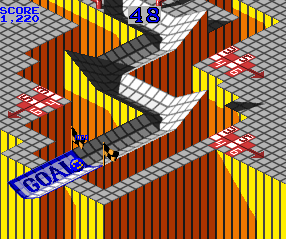 One of the originators of the ball-rolling genre, Marble Madness is as classic of a title as you can get. 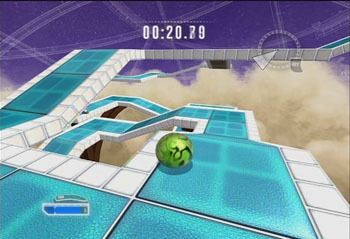 Although there weren't a wide array of levels (approximately six, if I recall correctly), the challenge was guiding your marble around an isometric world, avoiding hazards, trying not to fall from a great height, which would shatter the marble into pieces, and rolling through the finish line before time runs out. 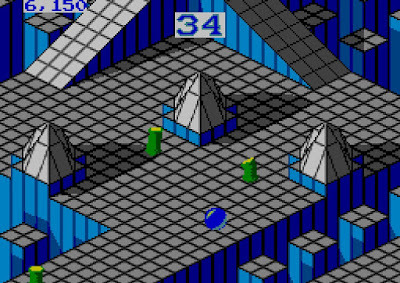 Perhaps it's a bit blasphemous that Marble Madness is only number four on this list, but I argue that the genre only got better as time marched (or should I say, rolled?) on. Marble Blast is a series by GarageGames, although the rights to the series have since been lost by the studio. 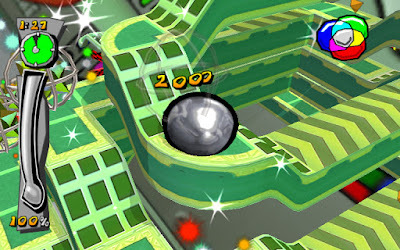 Both Marble Blast Gold and Marble Blast Ultra are no longer available for purchase in an official capacity, and that's a shame, as the games are some of the best in the ball-rolling genre. 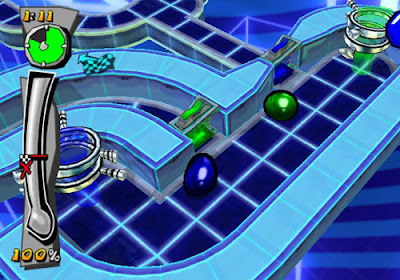 Ultra consists of 60 levels, spread across three difficulties of 20 levels apiece. Each introduces new gameplay mechanics into the mix, such as gravity, the need to plan careful jumps across dangerous gaps, and special items. I can only hope that the duo of Marble Blast games somehow gets another chance to shine. Kororinpa: Marble Mania, and to a lesser extent, its sequel, Marble Saga: Kororinpa, are Nintendo Wii games that put all of the courses of the game into your hands. 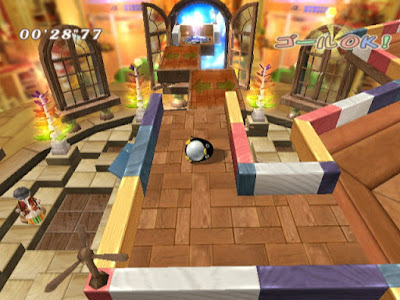 You see, the Wii Remote is used to tilt the levels to move around your marble through, requiring not only speed to beat the times, but also precision and accuracy, especially for the harder levels with more places to fall off. 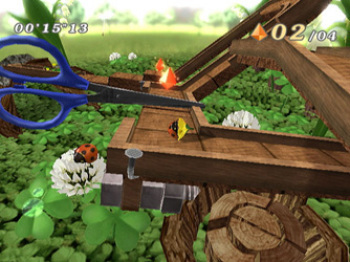 The sequel offers the ability to create your own levels, which adds great replay value and longevity to the game. Unlockable levels and marbles also increases this. What you are left with is a pair of ball-rollers that are absolutely charming and fun to play. Now, is it really fair to call the Super Monkey Ball series number one when most of its games aren't very good? 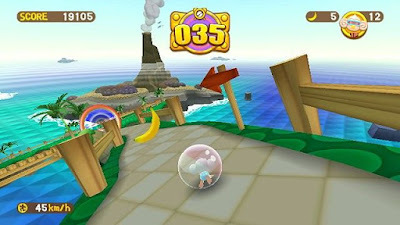 I believe that the original Super Monkey Ball and its sequel (perhaps even the Game Boy Advance game, too) are so fun and well done that they more than enough make the Super Monkey Ball series worthy of being number one on this list. Controlling Aiai and his monkey cohorts through colorful and increasingly more challenging and creative levels is a blast, and the arcade nature of the game makes it so you're always trying to make a little more progress in the game with each attempt. I say "attempt" because these games are mighty difficult, even for a seasoned player of the genre. 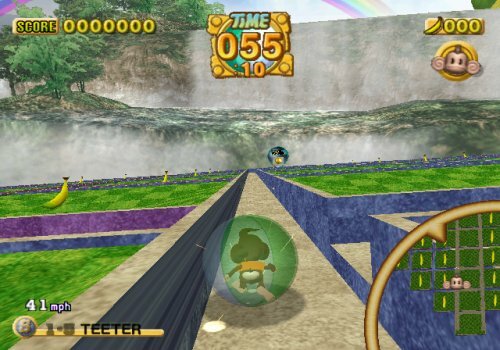 Throw in some excellent mini-games, and the choice of Super Monkey Ball as my number one pick is just the way the ball bounces.